Lara Jean Ancona is a Partner at Garfunkel Wild, P.C., which she joined in 2001. A member of the firm’s HIPAA Compliance, Technology, Insurance Regulatory and Health Care practice groups, Ms. Ancona advises clients on a wide range of business, commercial, regulatory, and transactional matters. Ms. Ancona’s practice includes corporate transactions, regulatory analysis, employment agreements, and service agreements for hospitals, physicians, managed care companies, insurance companies and other health industry clients. Ms. Ancona has particular experience in developing clinical trial agreements and advising organizations on compliance with federal and state research regulations and Institutional Review Board requirements. She has worked with such organizations as the North American Pediatric Renal Transplant Case Study, for which she helped to create a clinical site network and nationwide registry. 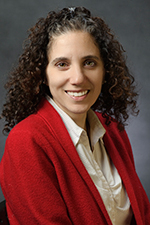 Prior to joining Garfunkel Wild, P.C., Ms. Ancona was an associate at Paul Hastings Janofsky & Walker. She also worked for KPMG, LLP for six years as a tax accountant in their German Tax Practice. She is a member of the New York State Bar Association and American Bar Association. Ms. Ancona received her B.A. in 1990 from Union College, her M.S. in Accounting from New York University Stern School of Business in 1991, and her J.D. from Fordham University School of Law in 1999.